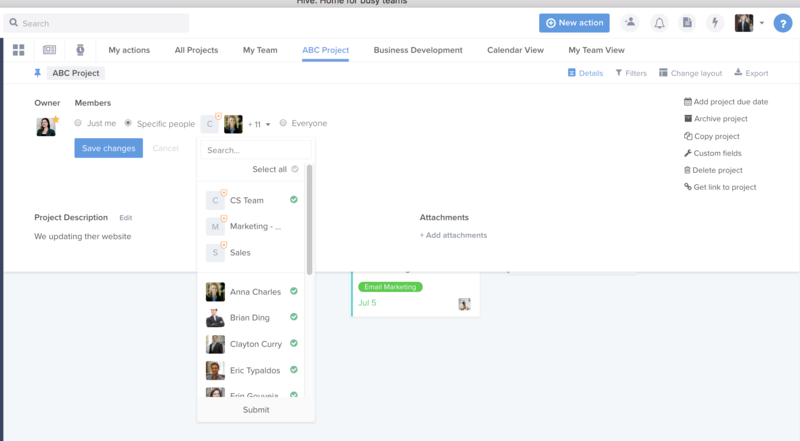 Hive now gives you the power to create and manage set teams of people across your workspace. No more forgetting which colleagues should be invited to a project! 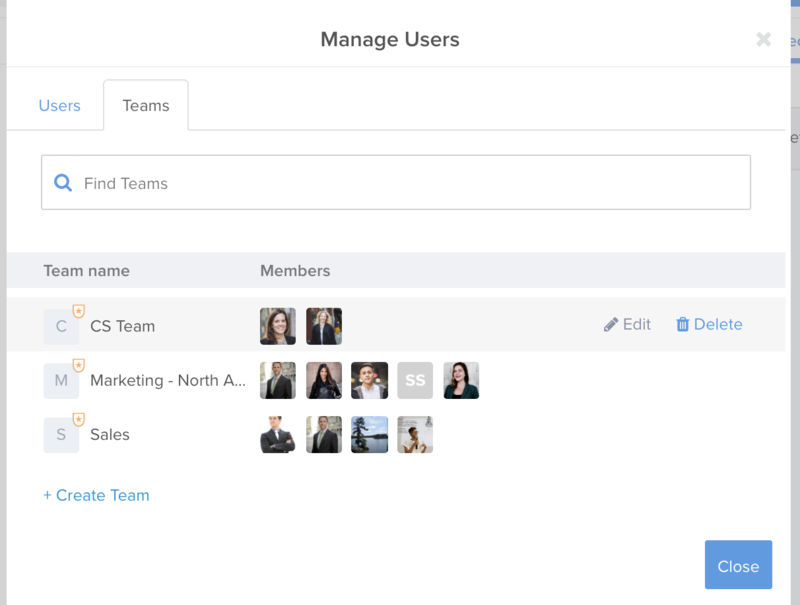 To create a team select "Manage users and teams" in the main menu. 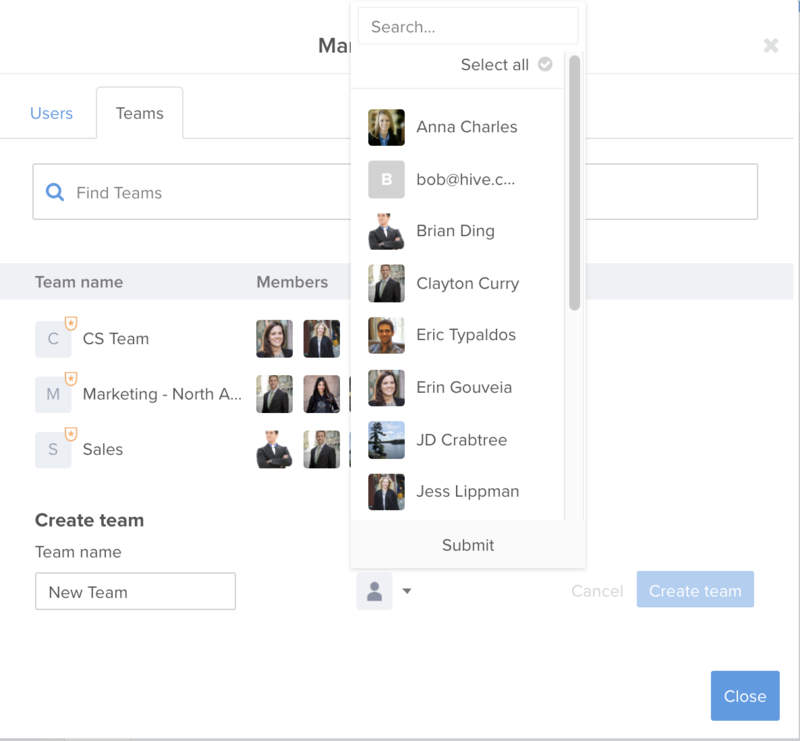 Select "Teams" to search existing teams, Edit or Delete existing teams, or create new teams. The "+Create Team" button will open the following options where you can enter a team name and select workspace members to be part of the team. 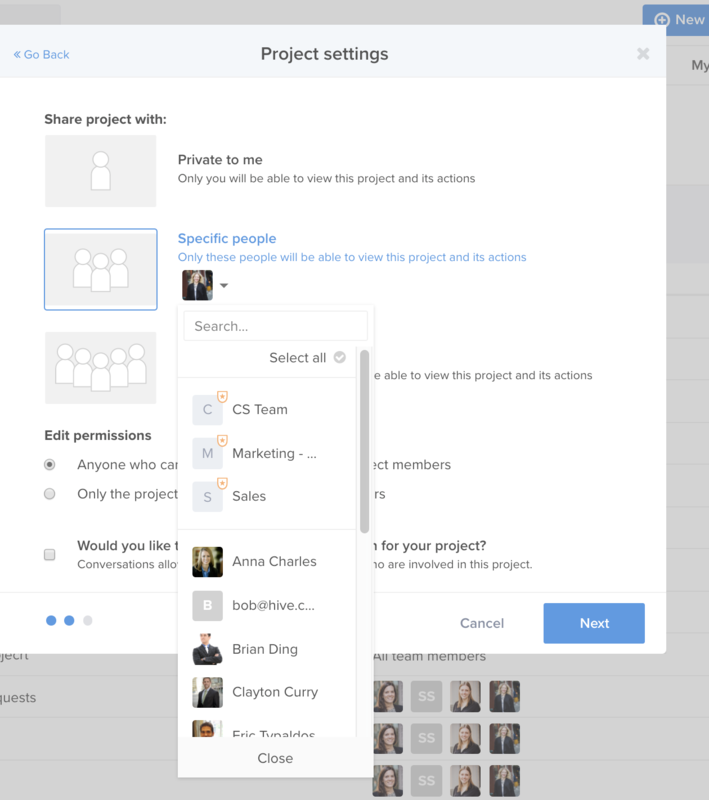 To add a team to an existing project, go to "Edit Members". 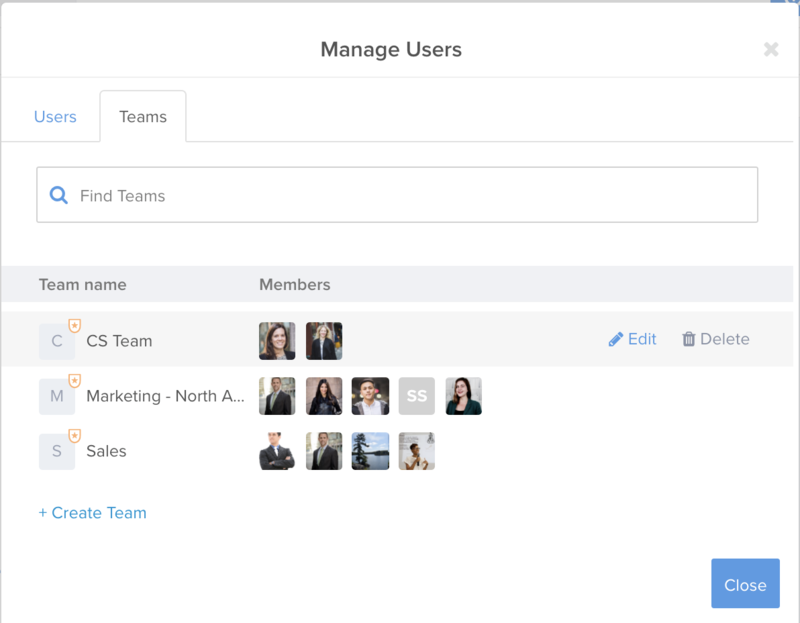 Teams in your workspace will show up at the top of the user list. Just click to add! For new projects available teams will also show up in the member list. Teams can also be added to group chats! 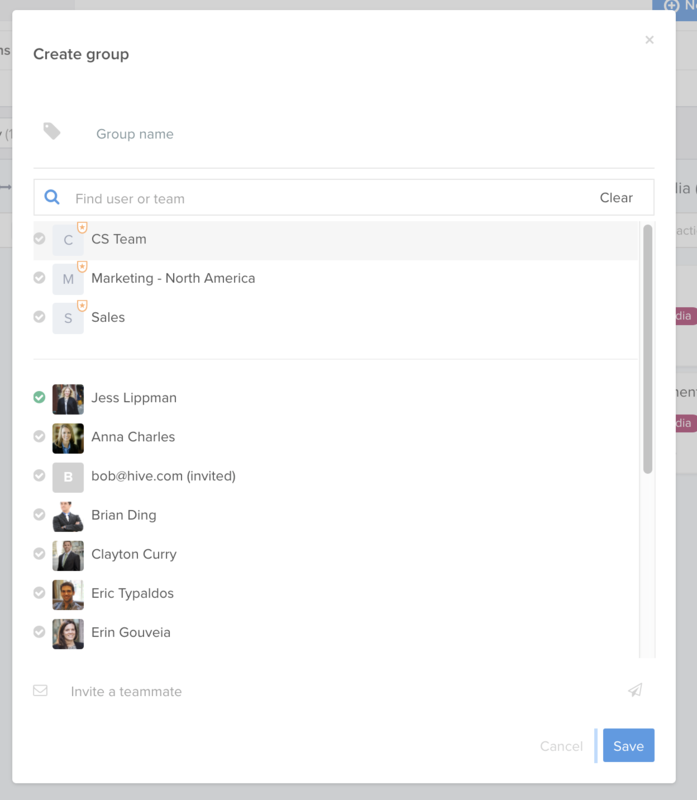 If a team has been included in a group chat, you can mention the whole team, and all team members will be notified. Simply type "@" to see a list of group chat members, and select the team! You can also @mention teams in comments on action cards - as long as that team is a member of the project. To remove a user from a team select "Edit" back under "Manage Users and Teams" to deselect users who no longer should belong to a team. If you remove someone from a team, they will be removed from all projects and group discussions that the team is a part of. Select the "Delete" option under "Manage Users and Teams". If you Delete a team, former team members will still remain part of any project and group discussion that the team was a member of.